The Redskins reportedly aren't planning on Smith (lower leg) taking the field in 2019, Ian Rapoport of NFL Network reports. Smith was spotted in Washington on Monday donning a sizable brace on his surgically repaired right leg, Ben Standig of NBC Sports Washington reports. Smith remains in the early stages of his recovery from a broken fibula and tibia in his right leg, Adam Schefter of ESPN reports. "We're obviously hopeful he can turn a corner and start the rehab process and possibly get back on the field," coach Jay Gruden said Monday. "That's all we can hope for right now." Smith (lower leg) was released from the hospital Saturday, Adam Schefter and John Keim of ESPN.com report. Analysis: After exiting a Nov. 18 loss to the Texans, Smith underwent multiple surgeries to repair a broken fibula and tibia in his right leg, which resulted in complications due to infection. The development leaves Smith's future in football uncertain. There is optimism -- but not certainty -- that Smith will be able to resume his career, though the Redskins probably won't have a good feel for his outlook for a few months. Smith isn't expected to be ready to play at the start of the 2019 season while he continues to recover from an infection stemming from his multiple surgeries to address a broken fibula and tibia in his right leg, Ian Rapoport of NFL Network reports. Smith developed an infection after undergoing surgery in November to address a broken fibula and tibia in his right leg, sources informed Ian Rapoport of NFL Network. The Redskins are optimistic that Smith (lower leg) will be able to resume his career in 2019, though doctors are maintaining a "wait-and-see" attitude with regards to the quarterback's future outlook, sources tell Adam Schefter of ESPN. Smith (lower leg) will require 8-to-10 months to recover fully, which could impact his availability for Week 1 of the 2019 season, JP Finlay of NBC Sports Washington reports. 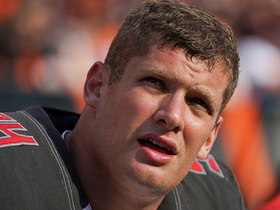 Smith's season-ending injury included compound and spiral fractures in his right leg, Adam Schefter of ESPN reports. Smith (lower leg) was officially placed on injured reserve Monday, Adam Schefter of ESPN reports. Analysis: Smith is set to spend the next 6-to-8 months recovering from surgery to repair a broken tibia and fibula in his right leg. With a fully guaranteed $15 million base salary in 2018, it would be a surprise if he doesn't return as the Redskins' No. 1 signal-caller in 2019. However, it's not certain that Smith will do so in time for Week 1. 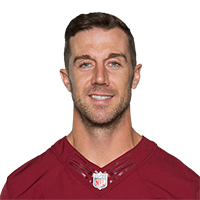 In any event, Colt McCoy will quarterback the Washington offense for the remainder of the 2018 campaign. Smith had successful surgery on his broken leg and is expected to make a full recovery within 6-to-8 months, JP Finlay of NBC Sports Washington reports. Analysis: Smith went under the knife shortly after breaking his tibia and fibula during Sunday's 23-21 loss to the Texans. He'll have a chance to make it back for Week 1 of 2019, though the upcoming offseason will be a major challenge. The 34-year-old quarterback has a fully guaranteed $15 million base salary for 2019, per overthecap.com. Coach Jay Gruden told John Keim of ESPN.com after Sunday's loss to the Texans that Smith will undergo surgery on his lower right leg. Analysis: Specifically, the tibia and fibula were noted. Smith's right leg crumpled under him on a third-quarter sack, and he required an air cast and cart to leave the field. In Smith's place, Colt McCoy completed six of 12 passes for 54 yards and one touchdown while running five times for 35 yards. As the only other QB on the roster, McCoy is the top candidate to start Thanksgiving Day at Dallas. However, the Redskins are in the market for a free-agent pickup as soon as Monday. 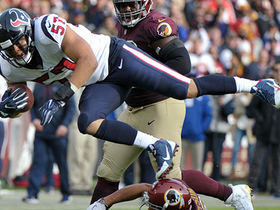 Smith was carted off the field in the third quarter of Sunday's game against the Texans with a right ankle injury, ESPN's John Keim reports. Analysis: We'll await further details, but Smith's injury has the look of a season-ending issue. If that's the case, Colt McCoy will assume Washington's QB duties moving forward, while the team will have to add depth at the position in short order. Smith was carted off the field during Sunday's game against the Texans with a lower-leg injury. Analysis: At first glance, this one looked pretty bad, and it wouldn't surprise us if Smith broke his ankle. Colt McCoy replaced Smith following his exit from the contest. 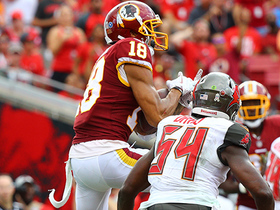 Smith completed 19 of 27 passes for 178 yards and a touchdown during Sunday's 16-3 win over the Buccaneers. He added 16 yards on two carries. Smith's supporting cast took a big hit Monday with the announcement that wide receiver Paul Richardson (shoulder) and starting guards Brandon Scherff (pectoral) and Shawn Lauvao (knee) will miss the rest of the season, Kareem Copeland of The Washington Post reports. Smith completed 30 of 46 passes for 306 yards, a touchdown and an interception during Sunday's 38-14 loss to Atlanta. 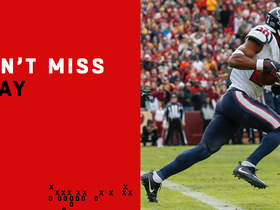 He added a 22-yard run for good measure. 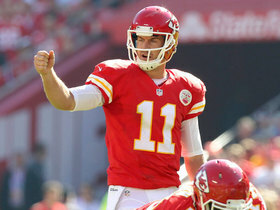 Kansas City Chiefs quarterback Alex Smith is wired for sound as he leads his team to a 34-7 Week 8 win over the St. Louis Rams. 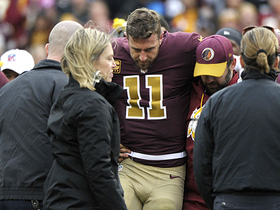 NFL Network Insider Ian Rapoport reports the latest on Washington Redskins quarterback Alex Smith's leg injury in Week 11. 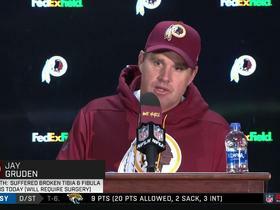 Washington Redskins head coach Jay Gruden talks about the Redskins quarterback Alex Smith's recovery after suffering a broken leg in the 3rd quarter in Week 11. 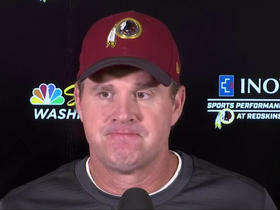 Washington Redskins head coach Jay Gruden reacts to quarterback Alex Smith's leg injury in Week 11 vs. the Houston Texans. Houston Texans safety Justin Reid goes 101 yards for first career pick-six. 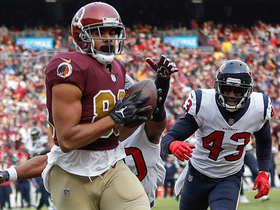 Washington Redskins tight end Jordan Reed gets the first down on deep 24-yard pass. 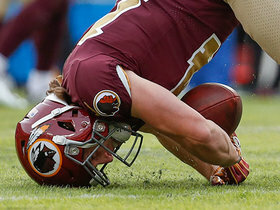 Washington Redskins wide receiver Trey Quinn makes diving catch for his first of his career. Tampa Bay Buccaneers defensive end Carl Nassib sacks Washington Redskins quarterback Alex Smith for a loss of 8 yards. Washington Redskins quarterback Alex Smith squeezes the ball to wide receiver Josh Doctson for a 12-yard gain.